The story of modern art began with a revolution in the mid-19th century — when the Realists started rejecting Romanticism in favor of depicting life as it really was. Ever since that time, artists have been rebelling, rethinking, deconstructing, and challenging notions of what art can be. 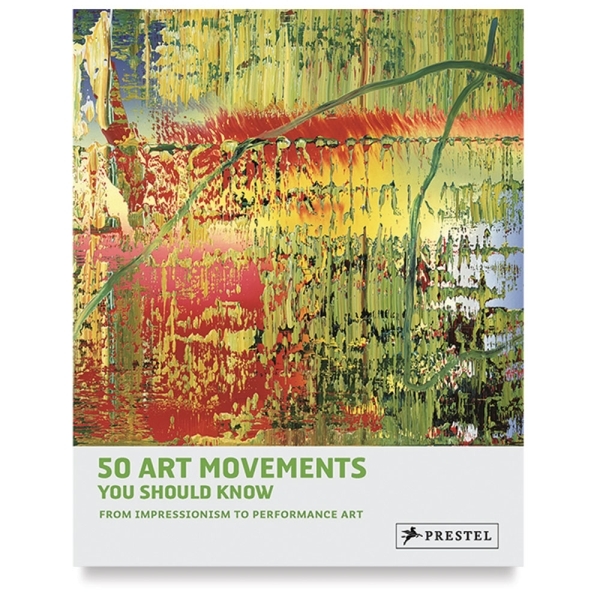 Filled with stunning reproductions of some of the world's greatest masterpieces, 50 Art Movements You Should Know offers a chronological journey through artistic revolutions, from Realism to the New Leipzig School. Covering a wide range of movements, both familiar and obscure, this accessible and informative volume is a perfect introduction for readers interested in art's constantly evolving story. Each movement is presented in a clear, understandable way, with a concise definition and description, detailed color illustrations, and in-depth profiles of the artists crucial to the movement's development. Paperback. 144 pages. 7½" × 9½" (19 cm × 24 cm).